Left & right arm – please state size and which arm when ordering. Maximum of three per order. 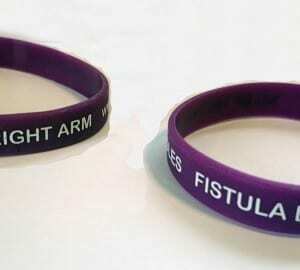 Please note that these wristbands are not meant to be wore whilst showering/bathing, they are meant to be wore outside your home for emergencies only. Please contact fundraiser@kidneysforlife.org if you live outside the UK.